When it comes to quality and nutritional value, you can’t do better than Nature’s Variety. This may not be one of the oldest brands on the market, but it is undoubtedly one of the best. This brand is aptly named because, not only do they use the best ingredients that nature has to offer, but they have one of the most varied lineups of product choices. Even with dozens and dozens of different recipes to their name, Nature’s Variety is uncompromising when it comes to their products. Each recipe features a premium-quality protein and is formulated to deliver optimal nutrition and maximum flavor. No matter which recipe you choose, Nature’s Variety is always a good choice. Who Makes Nature’s Variety Dog Food? The Nature’s Variety brand of dog food is made by Nature’s Variety, Inc. This company was founded by Bob Milligan and the first Nature’s Variety product hit pet store shelves in 2002. As a privately held company, Nature’s Variety makes all of their own products in company-owned facilities in the U.S.
Is Nature’s Variety Made in the United States? The Nature’s Variety company is a privately held company headquartered in St. Louis, Missouri. Not only is Nature’s Variety a U.S.-based company, but they produce and manufacture all of their products in the United States. This brand uses company-owned manufacturing facilities located in Lincoln, Nebraska to manufacture all of their products including classic, grain-free, and holistic dog foods. Not only does this company avoid outsourcing the manufacture of their products, but they employ an expert team made up of holistic veterinarians and animal nutritionists to formulate their products. Where Does Nature’s Variety Get Their Ingredients? According to the FAQ section of the Nature’s Variety website, all of the ingredients used in their products are of the highest quality. The materials used in Instinct raw and raw frozen products are obtained from USDA-inspected facilities. The pork and poultry Nature’s Variety uses in their products comes entirely the United States, though they do get some of their beef, lamb, and venison from Australia and New Zealand. The rabbit Nature’s Variety uses comes exclusively from Italy and France. Nature’s Variety doesn’t say exactly where the rest of their ingredients come from but they do say that they are very stringent in their sourcing standards and they make an effort to build close relationships with their vendors. In February 2010, the FDA issued a recall for several Nature’s Variety Chicken Formula Raw Frozen Diet dog food and cat foods products due to a concern of potential salmonella contamination. This recall was later expanded in March of 2010. In July 2012, the Nature’s Variety company itself issued a voluntary withdrawal for some of their Prairie Beef Meal and Barley Medley dog food kibbles due to an unusual odor. In February 2013, the FDA issued a recall for several runs of Nature’s Variety Instinct Raw Organic Chicken Formula medallions due to potential choking hazards caused by foreign bodies. 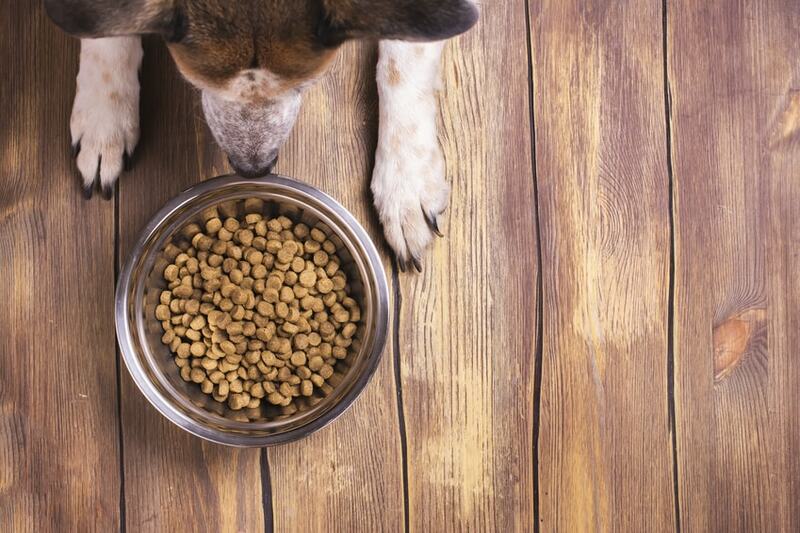 In July 2015, the Nature’s Variety company issued a voluntary withdrawal of a few Nature’s Variety Instinct Raw Chicken Formula dog food products due to a concern regarding potential salmonella contamination. Nature’s Variety dog food products can be found in most major chains as well as some local pet food chains and specialty pet stores – you can also purchase them from online pet food retailers. Nature’s Variety occasionally offers coupons on the company website and you can sign up for the company newsletter using your email address to receive special offers. You may also be able to find Nature’s Variety dog food coupons from individual retailers. Is Nature’s Variety Dog Food Expensive? The Nature’s Variety brand of dog food is a very high-quality brand which means that it can get a little pricey, depending which recipe you choose. For a 23.5-pound bag of Instinct Raw Boost kibble you will pay $75 to $115 and for a 20-pound bag of Ultimate Protein kibble you’ll pay about $75. A 35.3-pound bag of Instinct Grain-Free or Limited Ingredient Diet kibble costs $55 to $90. Nature’s Variety Prairie kibbles are a little more affordable than anything in the Instinct line. For a 27-pound bag of Prairie dry dog food you will pay between $40 and $65. Most Nature’s Variety canned foods come in 13.2-ounce sizes and sell for between $33 and $68 for a case of 12. What Kind of Dog Food Does Nature’s Variety Offer? The Nature’s Variety company is known not only for the quality of their products, but also for their variety. Nature’s Variety dog food products can be divided into two different product lines – Instinct and Prairie. The Prairie line of products includes dry food and wet food recipes for holistic foods made using simple but natural ingredients like fresh meat, whole grains, and fresh fruits and vegetables. The Instinct brand includes a wide assortment of different products from traditional kibble and canned foods to high-protein recipes, limited ingredient diets, raw frozen foods, and freeze-dried formulas. Nature’s Variety Canned Products: In addition to a wide variety of dry food options, Nature’s Variety also offers many options for wet food. The Prairie line only offers seven recipes for homestyle wet food, but the Instinct line includes over a dozen options. As you have already learned, Nature’s Variety dog food products can be divided into two product line – Instinct and Prairie. With two entirely separate lines of products, this brand offers an extremely wide variety of products. While sometimes this is a hallmark of a lower quality brand, that is not the case for Nature’s Variety – this brand is nothing but the best. The Instinct line includes high-protein and holistic recipes made with premium meats, wholesome carbohydrates, healthy fats, and beneficial supplements. The Prairie line of dry foods and wet foods are all holistic and natural, made with the highest quality ingredients available. That includes fresh meats, poultry and fish as well as wholesome grains and fresh fruits and vegetables. These recipes are all free from corn, wheat, and soy ingredients, designed in keeping with a holistic nutritional philosophy. This Nature’s Variety Instinct Grain-Free Duck & Turkey Meal Formula Dry Food is a high-protein, grain-free, and gluten-free diet formulated for dogs in all life stages. It features 70% pure animal ingredients and nutritious oils with 30% fruits, vegetables, and other wholesome ingredients. In addition to being loaded with healthy proteins, each kibble is sprayed with a freeze-dried raw coating for a boost of nutrition and flavor. Plus, with a balance of omega-3 and omega-6 fatty acids, this formula will help to keep your dog’s coat shiny and smooth. The first ingredient in this formula is fresh duck. While fresh meats are high in moisture (up to 80% by volume), it won’t be a problem for this ingredient if the volume changes as moisture is lost during cooking because there are plenty of other proteins. Following the duck comes turkey meal and salmon meal with duck meal appearing later on the list. Meat meals have already been cooked to remove moisture which makes these ingredients highly concentrated in terms of protein content. Your dog will also get some plant protein from the peas and suncured alfalfa meal, but most of it comes from animal-based ingredients which offer excellent bioavailability. The main source of carbohydrate energy in this Nature’s Variety Instinct Grain-Free Duck & Turkey Meal Formula Dry Food formula is tapioca, a gluten-free and grain-free carbohydrate. This ingredient is supplemented by green peas and suncured alfalfa meal. You will also find a number of fresh fruits and vegetables on the list which supplement the fiber sources (tomato pomace and ground flaxseed) while also acting as natural sources for key vitamins and minerals. For fats, this formula relies primarily on chicken fat which is a highly nutritious source of fat and concentrated energy for dogs. The remaining ingredients consist mostly of natural flavors and supplements. It is good to see that most of the minerals are chelated and there are also dried fermentation products included which act as probiotics. This Nature’s Variety Instinct Grain-Free Duck & Turkey Meal Formula Dry Food is formulated to meet the nutritional levels established by the AAFCO Dog Food Nutrient Profiles for all life stages. Overall, this Nature’s Variety Instinct Grain-Free Duck & Turkey Meal Formula Dry Food is a high-quality ingredient formulated to meet the nutritional needs of dogs in all life stages. This formula starts off strong with three meat-based ingredients at the top of the list followed by a highly digestible grain-free carbohydrate. There are plenty of healthy fats in this formula as well as natural sources for key nutrients. All in all, this is an excellent source of nutrition and natural flavor that any dog would be lucky to receive. This Nature’s Variety Homestyle Prairie Lamb Stew is described as a wholesome and nutritious recipe made with real lamb, oatmeal, peas, and carrots. This formula is a chunky stew slathered in thick gravy, guaranteed to make the mouth of even the pickiest dog water. Complete and balanced for puppies as well as adult dogs, this recipe is specially formulated for rotation feeding. Plus, because it is balanced with natural ingredients as well as vitamins and minerals, you can rest assured that it will not just meet your dog’s minimum nutritional requirements – it will exceed them. The first ingredient in this recipe is lamb broth, followed by fresh lamb and lamb liver. It isn’t a problem that the first ingredient on the list is not a protein – it is very common for canned foods to list water or broth as the first ingredient. What is important is that multiple sources of quality protein follow this first ingredient, contributing to a crude protein content of 8% (that translates to nearly 87%). Not only do these meat ingredients provide plenty of protein, but they contain healthy animal fats as well as plenty of natural flavor. There are also some supplementary fats including sunflower oil and menhaden fish oil – these combine to provide a balance of omega-3 and omega-6 fatty acids. The main carbohydrates in this formula are potato starch, oatmeal, carrots, and peas. All of these are considered highly digestible for most dogs, though if your dog has a sensitivity to grains the oatmeal could cause a problem. This recipe is gluten-free, however, so it may not be an issue. There are plenty of fresh fruits and vegetables in this formula which provide carbohydrate energy as well as supplementary fiber – they are also natural sources for key nutrients. This formula still needs some synthetic supplements to ensure balanced nutrition but most of the minerals are chelated which helps to maximize their absorption. This Nature’s Variety Homestyle Prairie Lamb Stew is formulated to meet the nutritional levels established by the AAFCO Dog Food Nutrient Profiles for growth and maintenance. Overall, this Nature’s Variety Homestyle Prairie Lamb Stew is an excellent source of quality nutrition for puppies as well as adult dogs. Even though this formula lists a liquid as the first ingredient, it is still plenty rich in protein. Supplemented with wholesome carbohydrates and fresh veggies, this recipe is highly digestible and loaded with natural sources for key nutrients. It does rely on a few supplements for complete nutrition, but the minerals are chelated which helps to ensure maximum absorption. Overall there are no “bad” ingredients in this formula, though some grain-sensitive dogs may have trouble with the oatmeal. All in all, it’s a great product.